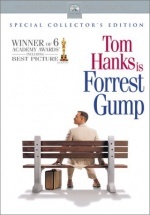 Forrest Gump released in the U.S.A on July 2006. It was a comedy drama film. The film did very well at the box office. It was nominated for 13 Academy Awards out of which it received 6. The six Oscars that it received included Best Picture, Best Visual Effects, Best Director (Robert Zemeckis) and Best Actor (Tom Hanks). The film was based on the book of the same name which came out in 1986. The book had been written by Winston Groom. However, the film has taken a lot of liberties with the book. Forrest Gump is a man who travels through a large part of his life facing many obstacles and overcoming them. He meets a lot of historical personalities and events but is not being able to handle them the way “conventional” people would because of his low intelligence quotient (I.Q). His different way of looking at things helps him to appreciate the hidden meaning of life. That is the reason that he is able to save the lives of his fellow soldiers at the time of Vietnam War when his “normal” counterparts are busy saving their lives. He also brings about a shrimp business and names it after his dead friend who died at the war just to fulfill his promise of setting up a shrimp business together with him. Forrest Gump loves Jenny, his school friend. But she lives a life of a hippie and doesn’t want to settle. Historical movements such as the Hippie Movement, Watergate Scandal have been shown in the film. Forrest Gump had got a war injury in his buttocks. When the President asks him to show his injury, he opens his trousers and points out the wound. His extraordinary simplicity is the highlight of the movie. Tom Hanks has given one of his best performances in the movie. - Life is like a box of chocolates...you never know what you're gonna get.